Her role in the con game was to be the shill before the scam exploded in bloody violence. Discarded, sacrificed like a pawn, Jane's left holding the bag. The swindlers left a murderous trail and millions of dollars are missing. The problem; Jane knows too much. She's a liability they can't afford to keep around. But the con artists underestimated Jane. They miscalculated her tenacity and will to survive. Not one to be crossed, her plan is to use their own weapon, the "art of deception," against them. Facing insurmountable odds Jane sets out to settle the score with fierce determination, and a few tricks up her sleeve. 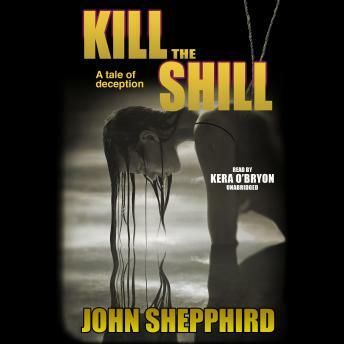 Kill the Shill is part two of a trilogy from Shamus Award winning author John Shepphird.